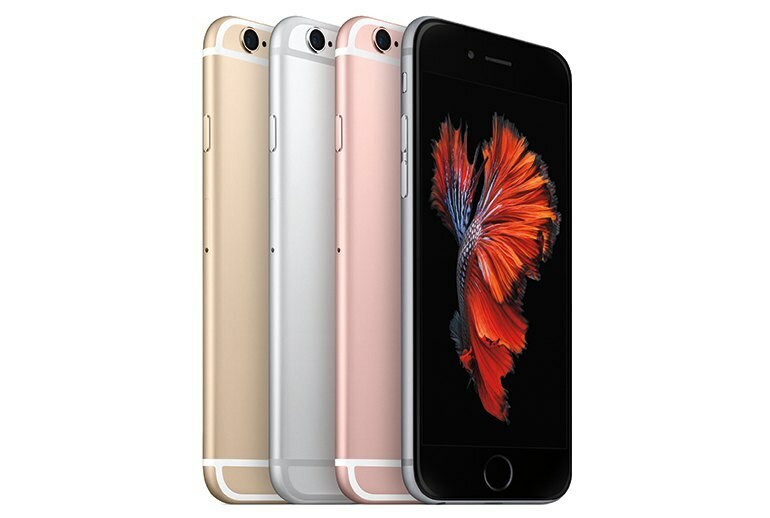 Noticeably faster performance is welcome after the sluggish behavior in the original iPhone 6. Siri now listens for your voice hands-free, even when not plugged in--a real game changer. People seem to love Live Photos, which creates a short video around the moment you take a still photo. It's an "S" year; if you already have an iPhone 6, there's not a lot new under the hood to woo you. Apple should have abandoned the low-end 16GB model; it's a relic from 2012. The battery life could be better. By now, Apple fans should be used to the in-between "S" years, in which iPhones get small updates to tide people over as they wait for big releases that span a 2-year engineering cycle. 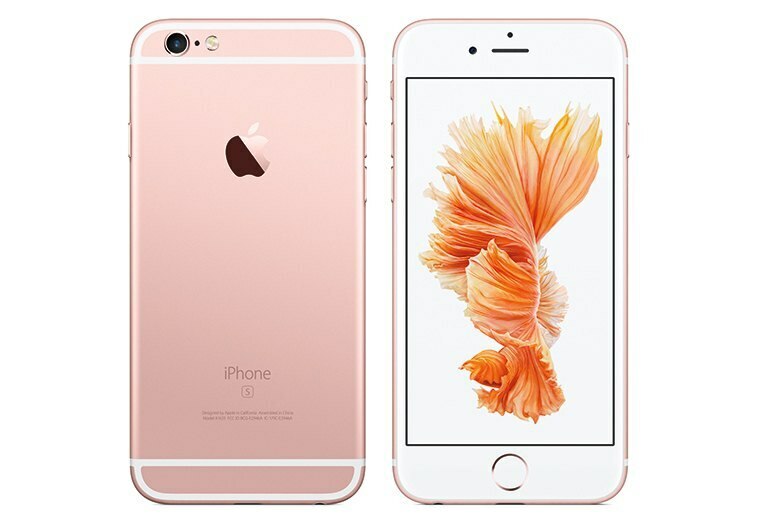 The iPhone 6S is essentially last year's iPhone 6, upgraded with a handful of tweaks. 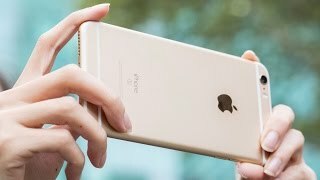 A significantly faster processor, hands-free Siri that doesn't require the phone to be plugged in, 3D Touch (like the Apple Watch's Force Touch, in which pressing hard elicits a different behavior than tapping gently), an improved 12 megapixel camera, and Harry Potter-esque Live Photos are the highlights in this year's phone. It's also available in four colors: silver, gold, gray, and a new rose gold. 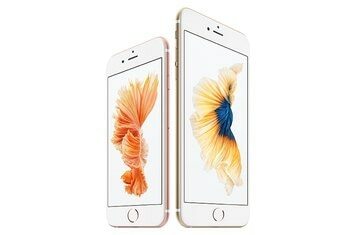 The iPhone 6s is so good Apple should have just gone and called it the iPhone 7. The iPhone 6s is the Sir Alex Ferguson of smartphones. It is Superman once the world’s been purged of kryptonite. It is a kebab you drunkenly ordered at 3am. In other words: it is a surefire winner. Apple has upgraded their fingerprint scanner and it’s now even quicker than before. 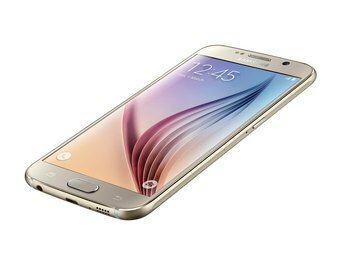 In fact, it’s so fast your finger can hardly keep up with it. It's not just still photographs that have had an enhancement. New to the iPhone 6S is the ability to shoot 4K video, although you'll have to make sure you turn on the setting buried deep within the Settings app before you start shooting, as oddly it's not possible to do so from within the Camera app. It’s a far cry from the iPhone 5 and 5S, which rumbled fiercely with all the subtlety of a small, yappy dog. Once you’ve used the iPhone 6S and experienced the difference, you’ll wonder how you ever put with that racket. It’s great. I question Siri’s ability to recognize voices, however. About half the office here in Digital Trends’ NYC office can unlock our new test iPhones by yelling “Hey Siri.” I can see most people deactivating this feature in short order. 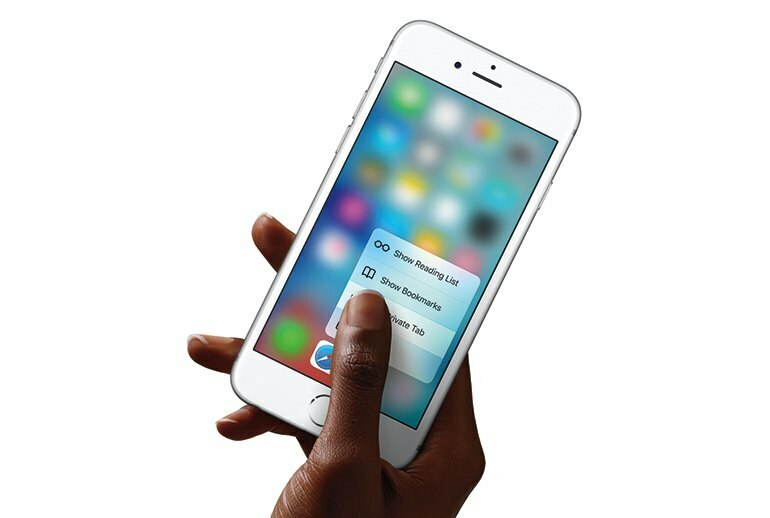 The newest, boldest tech is a new pressure-sensitive touchscreen technology called 3D Touch. There are lots of other improvements, too: better cameras. Better overall system speed. And always-on (and I mean always-on -- unless you turn it off) Siri. The instant improvement one notices is the lightning quick response of the new fingerprint scanner on the 6s. Fast doesn’t quite cover it, it’s almost too quick. Sometimes it had woken up the phone and unlocked it simply when WIRED was only trying to press the button to check the time. It is a huge leap forward for this feature and make the scanner everything you wanted it to be when it was first announced. 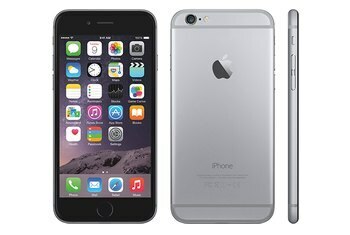 It's too bad that the iPhone 6 design remains Apple's least elegant design since the plastic blob of the iPhone 3G and 3GS, thanks to its slippery shape, camera bulge, and weird antenna lines. The construction is good, the materials solid and there's no wiggle in the buttons at all. While you probably never bent your 5S, the idea that the iPhone 6S is stronger will probably please you, however unnecessary the claim is. Battery life is the iPhone 6S’s biggest problem. During the week the phone failed to make it past 11pm after leaving the charger at 7.30am in the morning. For me, 3D Touch is something that once you use, you won't be able to stop. Going back to my iPhone 6 after spending time with 3D Touch on the iPhone 6S, I feel lost. I constantly want to Peek at links in Messages or preview photos. But based on what I can feel with my fingertips, I have to say that there’s no real difference in grippability between this year’s models and the last. If you can’t hold an iPhone 6 without being afraid it’s going to shoot out between your fingers like a slick bar of soap, I don’t think these models will give you any additional reassurance. When you are taking a picture of yourself, the phone’s display will brighten to three times its normal level to illuminate your face. Apple even went so far as to design a specific microprocessor to control the color of the display’s glow. The phone can sense the ambient color of a room and make sure you’re lit in a flattering hue. It’s mightily clever and, like the best features, completely automatic. This actually creates the most first-world problem in existence: the unlocking is so fast that I miss the lockscreen and its handy notifications half the time. I could go on about Live Photos, I find them to be very, very powerful, but I think that the best uses of them are still undiscovered. What possibilities are there, for instance, for telling a story in the moments before and after a photo — and juxtaposing that with the still image for effect? I never complained to myself that Touch ID was too slow on my iPhone 5s or 6, but I’m already enjoying the faster sensor. Apple has not spent a huge amount of time talking about the A9 chip that powers the iPhone 6S (and iPhone 6S Plus) but it’s a bit of a beast. Not only is it outperforming the previous iPhones in benchmarking, it’s also far ahead of the chasing Android pack in terms of single-core performance. The iPhone 6s is... an iPhone. The best iPhone yet. But it’s also proof that smartphone innovation has plateaued and what we demand most in our newest phones are improvements to the essentials. 75% Said they'd buy it again. Unpowered Hey Siri, Speed Boost, 3D Touch are great! My world has changed a bit with the unpowered Hey Siri capability. It has made the Amazon Echo obsolete and I have also had to disable Hey Siri on my iPad because I often keep it plugged in, so both devices would respond. The speed boost over the 6 is extremely welcome--I remember noticing slow UI when I first set my 6 up on release day one year ago. 3D Touch so far is somewhat useful but also very cool, as long as you carefully distinguish between taps. It is easy to confuse touch-and-hold (to rearrange icons) and force touch. I will get used to more carefully distinguishing between taps and developers will undoubtedly add more capabilities and uses for the feature, which will only make it better and better. A simple phone to use. Not complicated, easy and quick to sync up with computer. 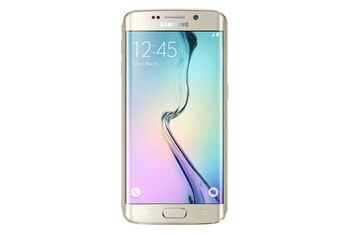 Made to help and simplified everyone life Anyone can use this phone. 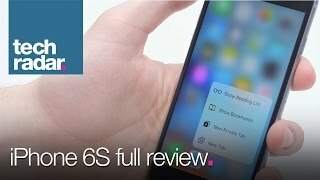 I had the iPhone 6 before and honestly there’s not that much of a difference between the 6 and 6s. I got the 6s mainly because the of the camera quality and on the 6 I had 16 GB where as now I have 128GB. I think for me the camera alone makes the biggest difference. The quality is amazing and the live photos are so cute! If you take a lot of pictures on your phone, I highly recommend the 6s! 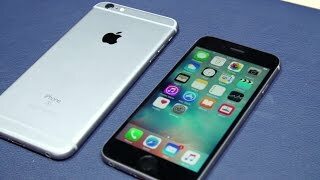 I think the iPhone 6s is more user friendly and I am able to get so much more out of it than the old iPhone 5 which I upgraded from.